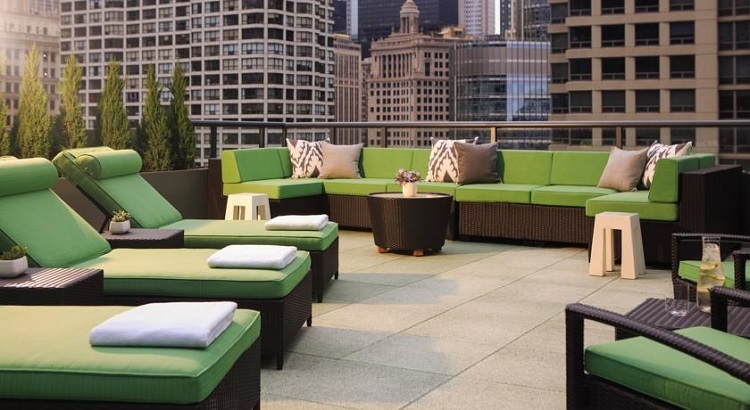 Check out this great Travelzoo deal at one of the best hotels in Chicago. If you have people coming into town, let them know about this Kimpton hotel Kids and families will love the rooftop indoor pool, couples will love the Michelin-recommended bar and restaurant — and we think everyone will enjoy saving up to 40%. 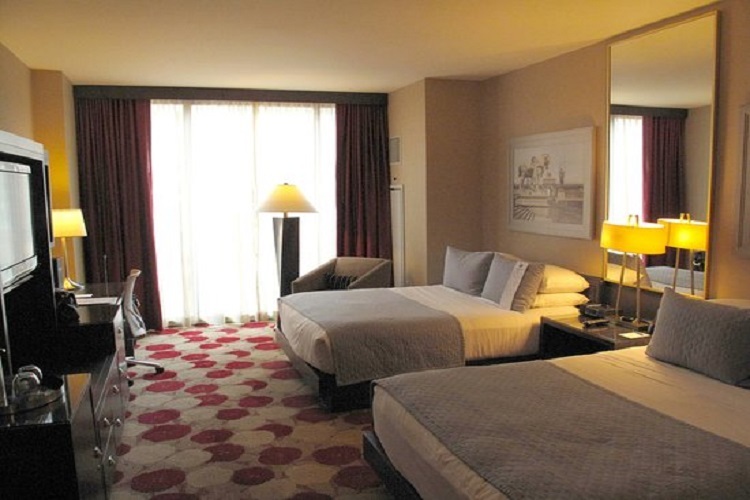 The hotel is 15 miles from Midway International Airport and 17 miles from O’Hare International Airport, and is easily available via public transportation, located steps from the Grand Red Line stop. 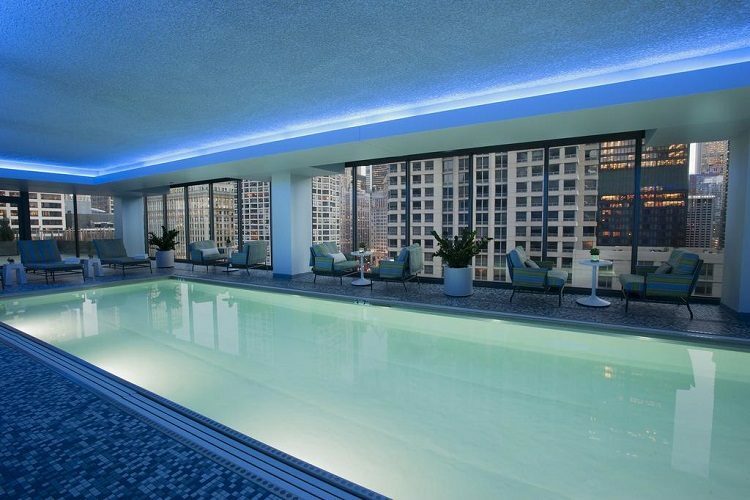 Staying at the AAA 4-Diamond Palomar Chicago places guests just three blocks from the Magnificent Mile and four blocks from the Loop, ideally located for those in town to experience Chicago’s best shopping, nightlife and cultural offerings. Rooms have dramatic floor-to-ceiling windows, pillow menus and artwork inspired by the Chicago World’s Fair, while spa suites feature deep jetted soaking tubs with room for two along with a separate shower. The hotel hosts a complimentary nightly wine hour around its glass-enclosed fireplace, and Wi-Fi is free for Kimpton Karma Rewards members, which is free to join. Despite its location in hip, clubby River North, the hotel is quite family-friendly, catering to families with kids by featuring in-room safety kits and rentable strollers as well as families with pets by offering dog beds and treats with no pet-size restrictions. Guest rooms also feature yoga mats with special exercise programs available via the hotel’s TV programming. The hotel’s top floor is home to the property’s indoor heated pool (also a favorite of visiting families) and a 24-hour fitness center, both of which feature great skyline views of the city. Check-in: Standard Time is 3pm. Checkout: Standard Time is 12pm. Children and additional guests: Children 17 and under stay free of charge when using existing bedding. Extra bedding available upon request: $20 (plus tax, per night). Crib/Pack n Play available upon request: free of charge. Extra beds allowed in the suites only. Rates are based on double occupancy. Extra person charge is $20 (subject to tax) per person, per night. Pets: Pets are allowed on request: free of charge. Fees: A Valet Parking Fee of $62 (subject to tax), per night applies and will be added to your bill. This rate is subject to change at the discretion of the property. Unlimited in & out privileges valid until 2pm on day of departure.Internet access is complimentary for Kimpton Karma Rewards members. For non-members it is $12.99 (subject to tax) per day for standard access or $14.99 (subject to tax) per day for high speed. Charges will be applied by hotel. Cancellation: Cancellation policy & booking conditions vary by ‘rate plan’. These will be displayed on the payment page after you have searched for your dates and selected a rate.